For decades, CAASD has applied our engineering expertise to introduce timesaving and cost-effective improvements into the National Airspace System. We work with FAA engineers, researchers, and operational personnel as well as users of the aviation system to identify and diagnose the most pressing issues affecting operations in the NAS. We then employ our systems and domain knowledge to propose solutions to these issues. Over the years, we've developed solutions that increased the air traffic system's capacity, saved time and fuel, and reduced aviation's environmental footprint. These changes yield significant savings to airlines and general aviation and provide benefits to the flying public and the larger community. For instance, CAASD supports the FAA in its efforts to design and implement Performance-Based Navigation (PBN) procedures. PBN procedures capitalize on the capabilities of the sophisticated navigation equipment available on many of today's aircraft. Our work has enabled the implementation of a variety of new fuel-efficient arrival and departure procedures in airports across the country. Other work spans a broad range of activities, from airspace redesign to recommending revisions for modernizing operational standards. These changes will introduce new efficiencies to runway and en route capacities, while maintaining equivalent levels of safety. Our modeling and simulation capabilities are crucial to determining the feasibility of potential improvements to the NAS. Our state-of-the-art airport-capability simulation tools account for weather, airport factors, and intricate air traffic control rules that govern flight operations. In addition, our air traffic management human-in-the-loop simulation facility evaluates human factors that affect the viability of potential procedure improvements. The knowledge we gain from our simulations helps us identify which concepts and procedures the aviation community should consider for implementation. 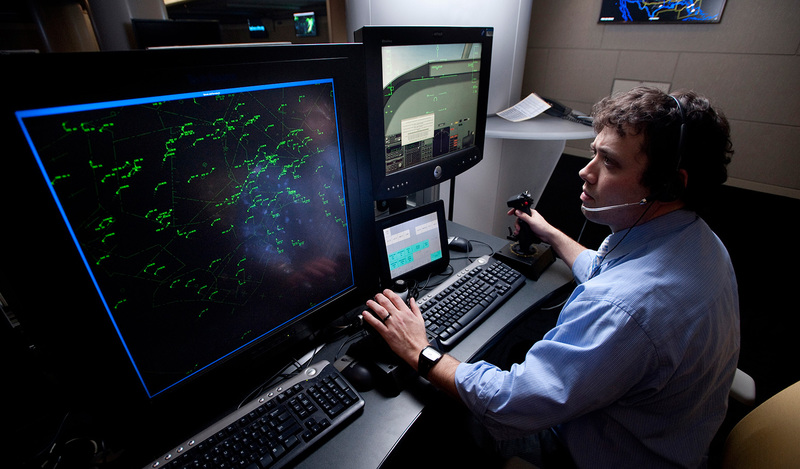 By studying the systems and technologies at FAA air traffic control facilities and in operating aircraft, we can make informed decisions and recommendations about the options available and how they affect each of aviation's many stakeholders. (Video) One of aviation's most important safety and efficiency achievements to date is the move to precise, predictable, and repeatable navigation, referred to as Performance-Based Navigation, or PBN. Read our fact sheet to learn more about the Center for Advanced Aviation System Development.